Larry has hands on experience in channel development and management and world wide distribution focusing resources based on a sales model that combined both direct and indirect channels, resulting in revenue growth of over 30% per year. He managed channels at Arrow Electronics. Mr. Perry has more than 25 years of executive sales management experience in the IT-Infrastructure industry. Mr. Perry served as vice president of sales for leading thin-client manufacturers, Wyse Technology and Maxspeed Corporation where he pioneered the thin-client market from its inception in 1995 introducing increased desktop client security and reduced cost of ownership to many enterprises. 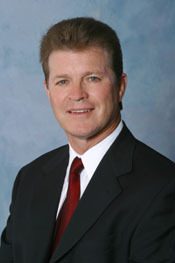 Mr. Perry has held other sales management and engineering positions with Litton Industries, Rockwell International and Boeing Computer Services. Expertise: Internet, application software, database management software, systems integration, professional services, training and executive leadership and motivational skills. Education: Bachelor of Science Degree from California State Polytechnic University with a major in applied mathematics. From business systems strategy to implementation, the Gatti Group combines industry knowledge with technology expertise to create solutions that bring real, tangible business value to its clients. The Gatti Group is one of the technology community’s leading business services firms. Our core offerings include interim and outsourced management for venture capital portfolio companies. © 2019 Gatti Group. All rights reserved. Theme by Solostream.